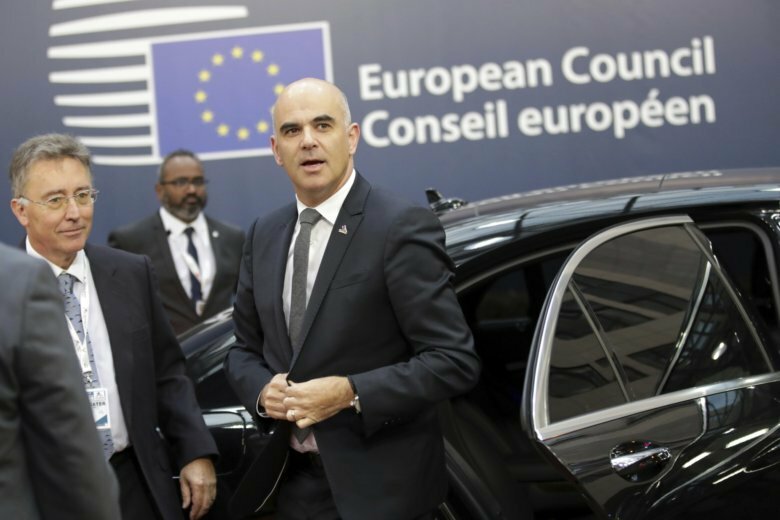 GENEVA (AP) — Britons wondering what life could be like outside the European Union might consider how the Swiss, Turks or Norwegians have fared: They know well the benefits and headaches of being close to — but not part of — the gargantuan economic and political bloc. Switzerland, Norway and Turkey are among several European countries that are not members of the 28-country EU but are close to it economically to varying degrees — a position Britain is looking increasingly likely to take. But the lucrative relationship comes with hassles: Never-ending, near-daily negotiation with the EU, and forced adaptation to its dictates. As the Brexit talks have shown so far, the EU has held the upper hand by virtue of being a larger power – the world’s biggest economic bloc and Britain’s top trading partner – and Britain can expect that unbalanced relationship to continue long after it has struck a Brexit deal. “It’s like the moon around the Earth: The force of attraction of the European Union is such that you can’t have all the autonomy that you want,” says Rene Schwok, a professor at the University of Geneva who has studied Switzerland’s relationship with the EU. Relations between countries on issues like trade, security and the regulation of companies are always in flux and constantly updated. By one count, the Swiss have 140 agreements with the EU that govern its relations with the bloc. Any form of economic relations with the EU that Britain could choose would mean adapting or at least reacting to the EU’s rules. British Prime Minister Theresa May has reached out to the leader of the opposition Labour party, Jeremy Corbyn, to agree on what Britain’s relations with the EU should be. Corbyn favors a softer form of Brexit than that advocated by the government, which suggests the trade ties could be closer than many had assumed so far. The type of economic relations with the EU can vary vastly, with sometimes head-spinning complexity. Norway is one of the closest to the EU as a member of the broader European Economic Area. That means it is in the EU’s single market, which ensures no tariffs for goods and services. However, that requires free movement of people and paying into the EU budget, something Britain has resisted. Turkey is not in the single market but in a customs union with the EU, which reduces tariffs on some trade in goods but not services. It means no free movement of people. But it requires the country to abide by the EU’s trade rules with other countries. That has been a turn-off for many British politicians who want the country to strike new trade deals with countries outside the EU. Turkey has for years tried to improve its terms of trade and to even join the EU, but without success. The EU has dangled the prospect of closer ties as an incentive to extract changes from the country on issues likes human rights and migration and to keep it in its orbit of power and out of Russia’s. Even looser relations are possible, such as being outside both the single market and customs union and negotiating relations on various sectors. Canada has negotiated a free trade deal covering many goods — though it took seven years to complete. Switzerland is similarly not in the single market or customs union, but has an unusual array of bilateral deals with the EU. As euroskeptic political parties gain popularity around Europe, major leaders of the EU are working harder to ensure the bloc’s unity. Above all, that means protecting the EU’s “four freedoms” – the unlimited freedom of people, goods, services and money to move across EU states’ borders. The EU wants to make membership attractive, which means getting tougher with countries that are not members and want to pick and choose the perks of being close to the bloc. Switzerland, a country of 8.2 million people that sits like a doughnut hole in the middle of the bloc, is one of those countries to feel the impact from a re-energized EU. Brexit chips away at the EU’s dominance of Europe and offers the Swiss the prospect of tighter, individualized ties with Britain. In 2017, crisscrossing investment between Switzerland and Britain reached nearly $115 billion. The EU has responded by playing hardball with Switzerland on the country’s attempts to limit free circulation of people across the border; adjudication of disputes through the European Court of Justice; and most recently, mutual access to stock markets on either side of the divide. The EU has even floated the prospect of ending university exchange programs. Switzerland is now facing some tough tactics — some might say bullying — over its pending “Framework Agreement” with the bloc, an outline of their relations that the Swiss executive branch is considering ahead of a key June deadline. Ivan Rogers, Britain’s former ambassador to the EU, says he has spoken at length with Swiss officials about their experience negotiating with the EU. Suzan Fraser in Ankara, Turkey, contributed to this report.